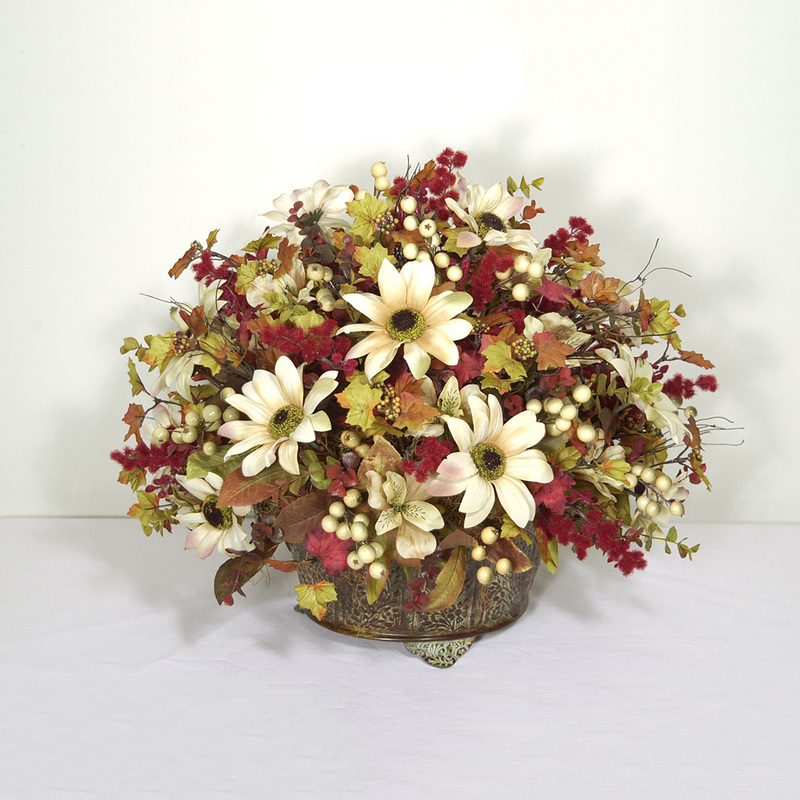 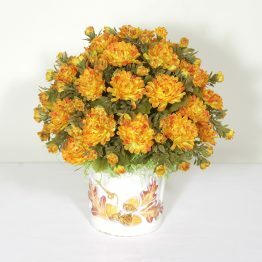 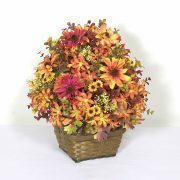 Sunflowers in a soft shade of cream, have hints of gold, green, and burgundy on the petals. 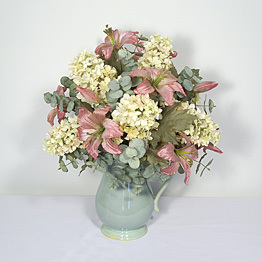 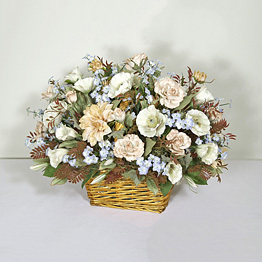 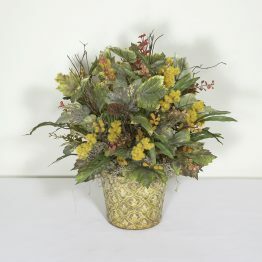 Beautifully highlighted by dark red astilbes, multi-hued alstroemerias, and green/linen colored berries. Absolutely beautiful!